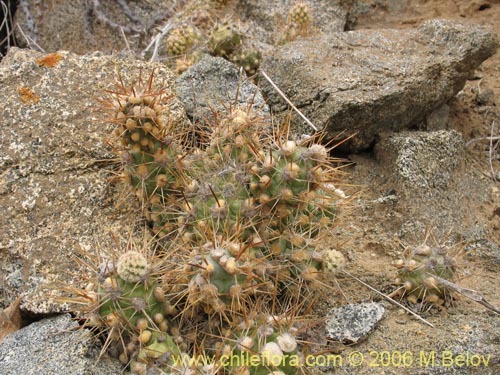 This cactus is one of the most common in Chile. 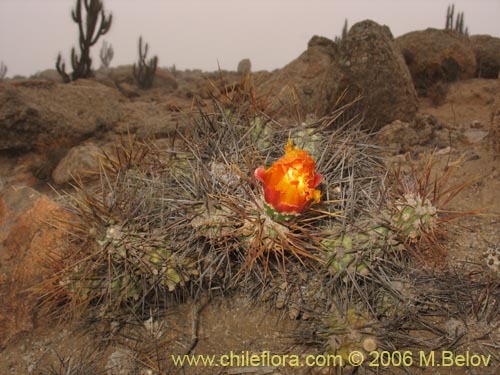 It grows almost everywhere, from the seaside to relatively high elevations (up to 2000 m.). It is a rather small plant, which may grow to about 15 cm. 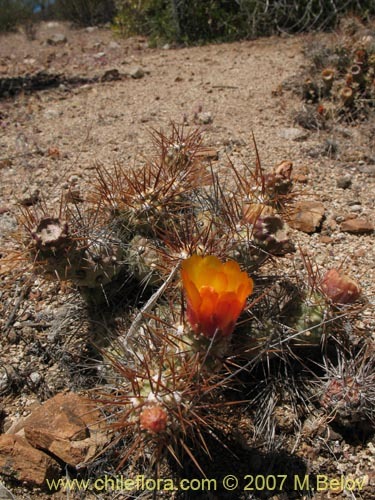 consisting of several oval-shaped sections of 3 - 5 cm., but when it blooms, the flower may be larger than the plant itself and is very showy with its yellow - orange color. 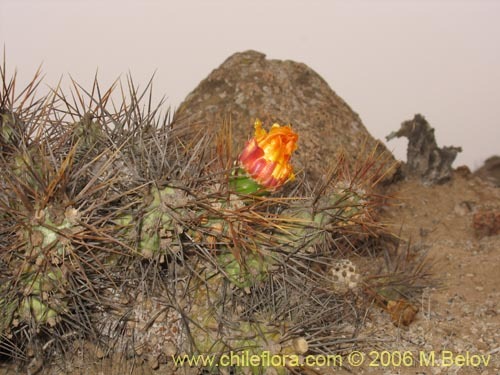 This cactus is very easy to propagate, and once you can obtain adult plants from seeds you can continue to propagate it vegetatively by planting new sections. It never grows very big, because when it reaches a heigth of 3 - 4 sections, the upper section tends to fall off, roll down the slope and start a new colony. 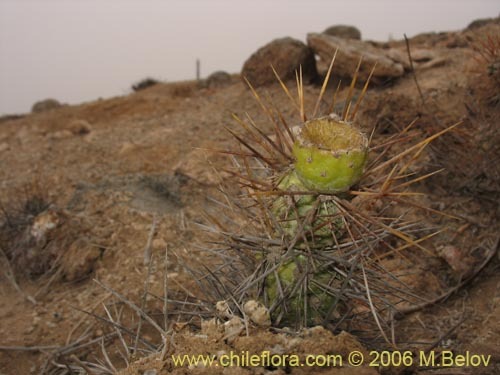 Cumulopuntia sphaerica (Förster) E.F.Anderson 植物更多的照片這里可以看.